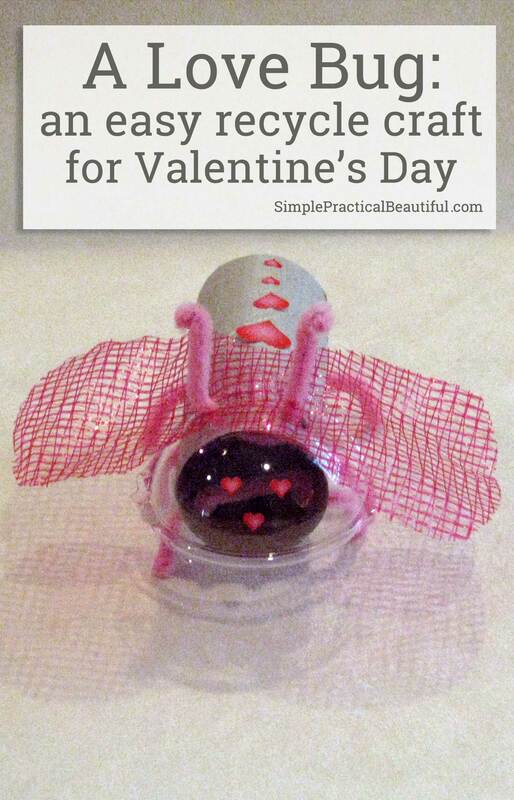 This love bug is an easy recycle craft for Cub Scouts to make for Valentine’s Day or for the Blue and Gold Dinner. 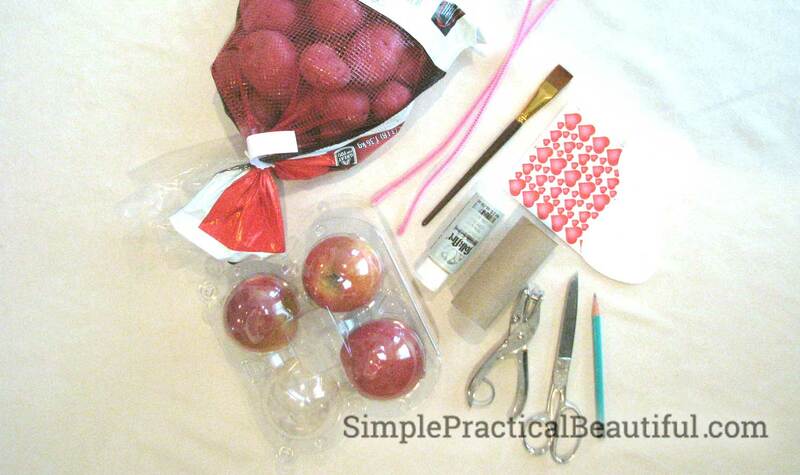 It’s also a fun craft for any kid to make by recycling things you probably already have around your house. 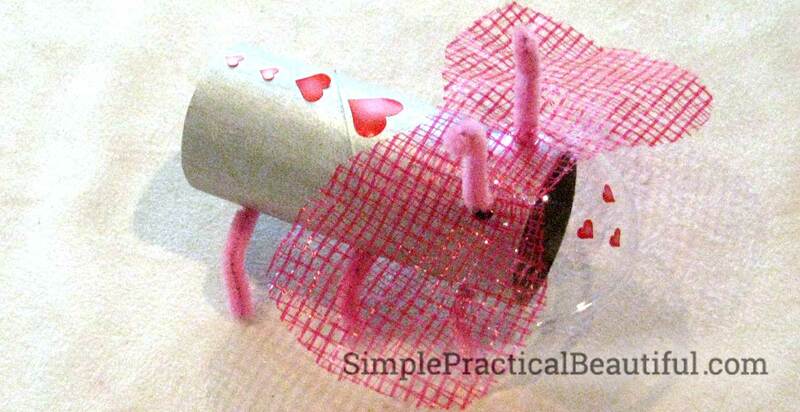 It’s fun to make crafts for Valentine’s Day, but most of them are so feminine and girly with lots of hearts and lace. This bug craft is perfect for Cub Scouts, plus it helps with a merit badge by reusing and recycling products you probably already have around your home. 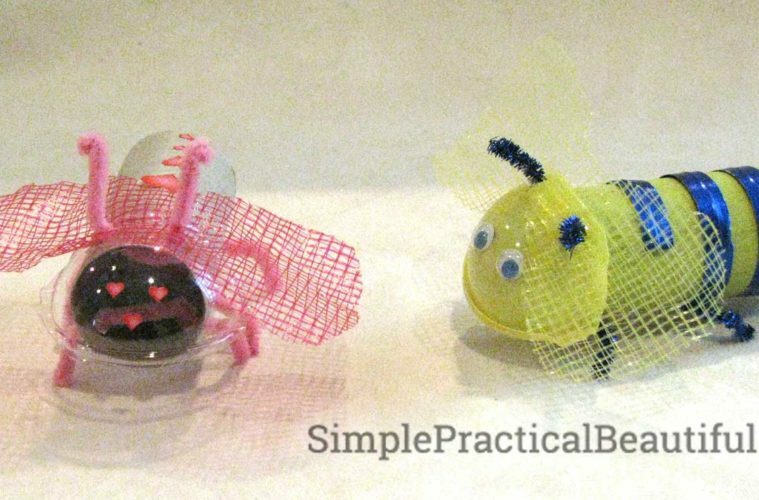 You can make a Love Bug for Valentine’s Day by making it red and pink, or you can make a Busy Bee for the Blue and Gold dinner decoration. Either way, it’s fun to make and perfect for 8-10 year-old kids to make. 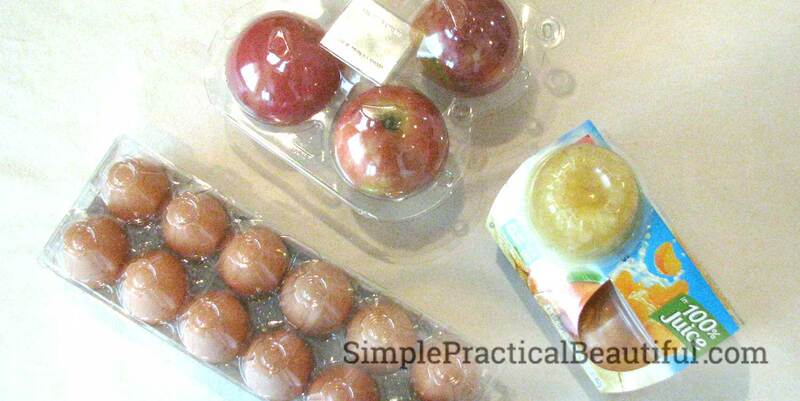 Here’s some ideas for the curved plastic container: an egg carton, an apple container, and a fruit snack cup. I used a tomato container. 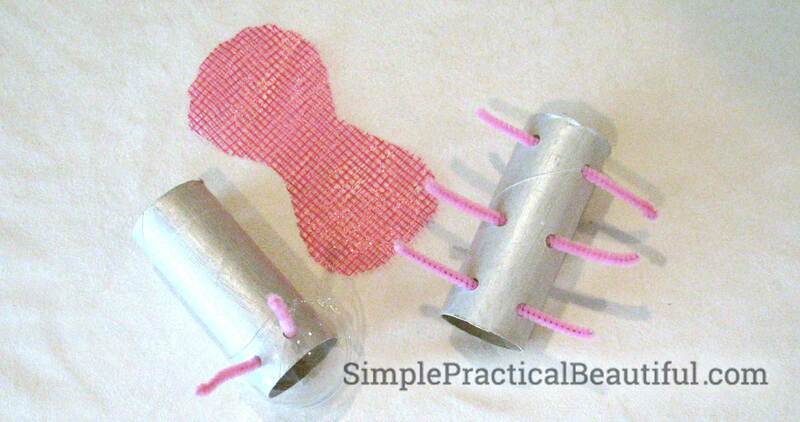 Punch 6 holes in the bottom of the toilet paper roll for legs. Use a pencil to punch the middle holes if your hole punch is not long enough). Punch 2 holes in the other side for antennae. Punch 2 holes in the rounded plastic head that match the holes in the tube punched for antennae. Make sure they match up. Paint the tube and decorate it with stickers and markers. 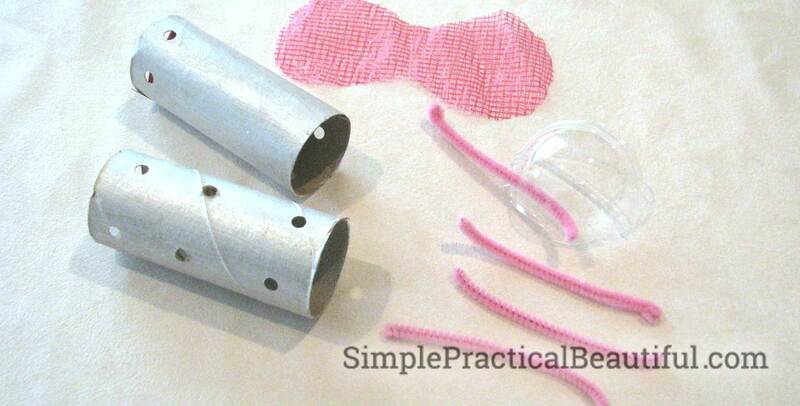 Cut the 2 pipe cleaners into 3 equal pieces. Thread three of the pipe cleaner pieces through the holes for legs. Crimp the pipe cleaners a little so they will stay in place. Then adjust the legs to the bug will stand. Thread the last pipe cleaner piece through the holes for the antennae in the tube. Put the rounded plastic head onto the body over the antennae pipe cleaners. Thread the antennae through the holes in the head. This will keep the head attached to the body. Finally, put the wing piece over the head on the antennae pipe cleaners. Thread the antennae through some of the holes in the mesh to keep it attached.